Ashes57 is a graphic artist who has lived and worked in the U.K., Canada and the United States. Her artistic career began in earnest in 2003 when she moved from London to Montreal. Surrounded by the city’s large musical and artistic community, she was able to focus exclusively on creative projects and developed her unique line drawing style and vector graphics. Ashes spent the summer of 2005 working with Shepard Fairey in his Los Angeles design studio, where the richly creative atmosphere proved an enormous source of inspiration. She worked on a number of Obey exhibitions and street art projects in the following years and her photography documenting these experiences has been included in publications such as Arkitip and Supply and Demand – The Art of Shephard Fairey and has also been displayed at the Institute of Contemporary Art in Boston. Later in 2005, Ashes moved to New York to work as the Art Director of COOL’EH Magazine, a role which combines her passions for illustration, graphic design and typography. As dubstep first made its way to NYC, she soon became an important part of this exciting new musical scene through the flyers and posters she produced for the legendary Dub War parties. When Ashes returned to London in 2008, she joined forces with some of the most influential and prominent producers and labels in the scene and her illustrations and designs have since graced labels including Deep Medi, Swamp 81 and DMZ. 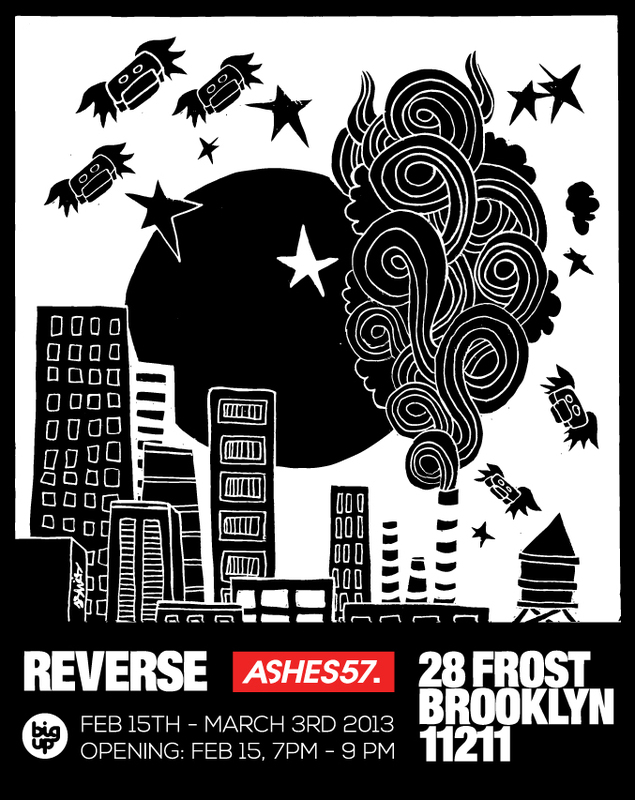 This helped to bring her art to the attention of the Wu-Tang Clan who invited Ashes to illustrate the cover of their 2009 album Enter the Dubstep. In the past year, she has worked on the Future Me TV series for MTV and designed board graphics for Palmer Snowboards, whilst helping to run Cool’eh magazine and keeping up the prolific output of her own artwork. Towards the end of 2009, she co-founded LAVA Collective, using her wealth of contacts from the worlds of visual art and music to program and curate multimedia events in London.